It’s time for gin! 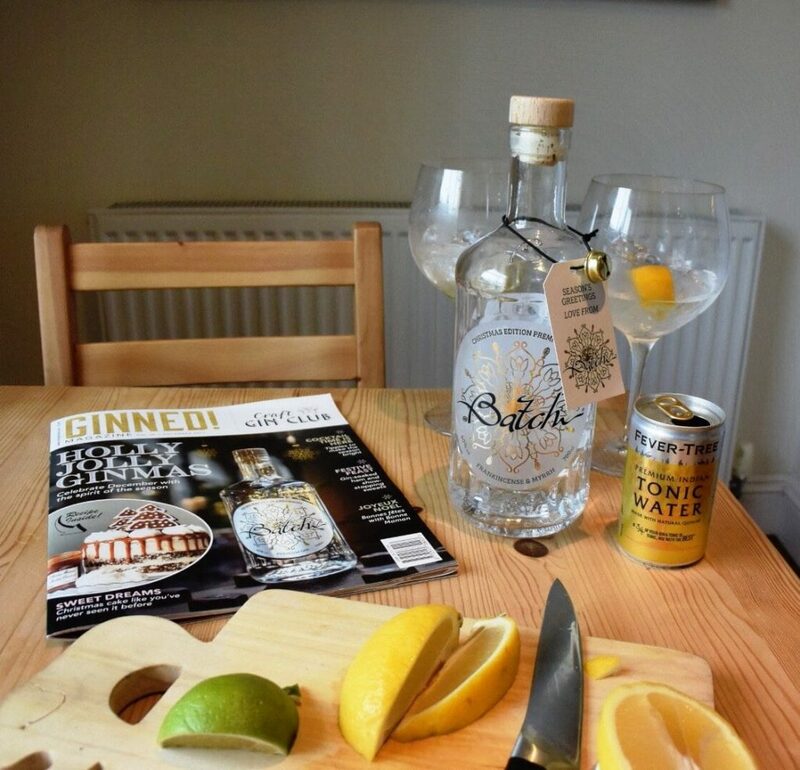 This month, as it is December, we got our hands on the Christmas edition of Batch Gin and it was fabulous. It’s packed with festive flavour and definitely leaves you wanting more! 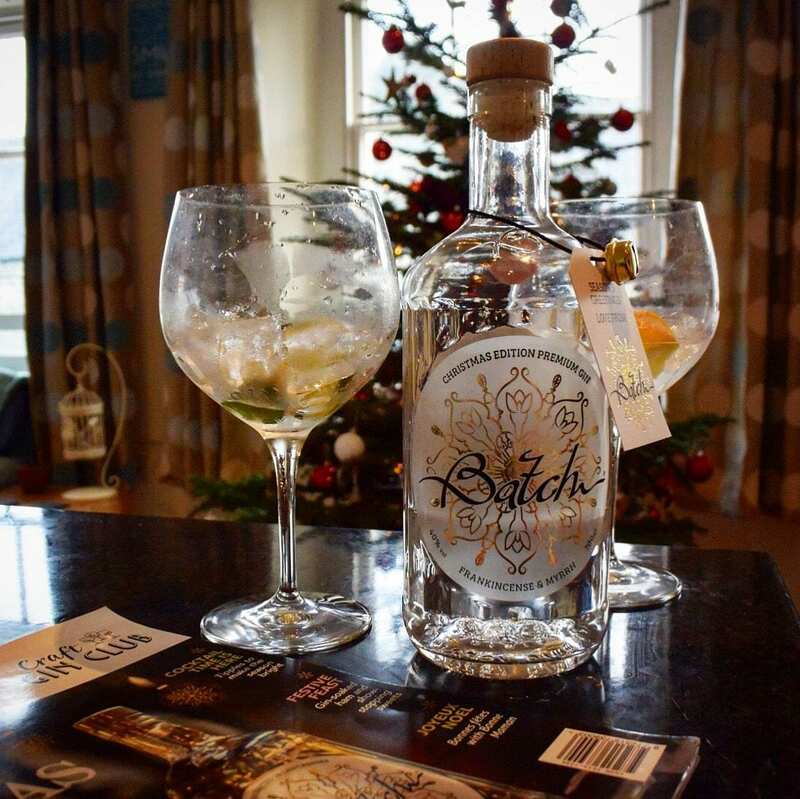 Batch gin is a premium gin made in Lancashire by Batch Brew Limited. It’s distilled using 12 botanicals including juniper, coriander and lemongrass, with the most unusual however, being frankincense and myrrh. A bold, unique gin with flavours to match. Not only did Euan try the gin straight, but I did too (round of applause, please). Unfortunately, I was slightly too busy complaining about my burning oesophagus to give any constructive feedback, but Euan had lots to say to make up for it. He loved the initial hit of juniper and cardamon and was adamant he could taste cinnamon in the aftertaste. He felt the gin had a ‘licorice-ness’ (the technical term) and enjoyed the blend of spices. You’ll also be pleased to hear that, although not listed on the bottle, the gin does contain cinnamon bark, so Euan’s senses didn’t fail him after all! We then made the G&Ts (with fever tree, as recommended) and, as usual, did one with lemon and one with lime. There was a significant difference between the gin with lemon and the gin with lime. The lemon did not compliment the gin at all and somehow took a lot of the flavour away. However the lime really enhanced the flavours and made it a very enjoyable drink indeed! We loved this gin. It is very unique, and packed with lots of different flavours. You experience an initial hit of the ‘classic’ gin taste, followed by the blend of spices which give it an edge. 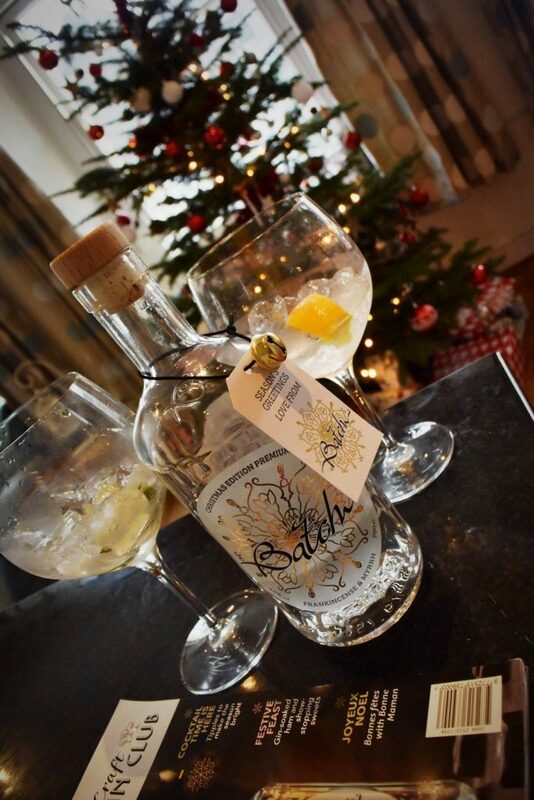 This has probably taken the number 1 spot on our favourite craft gin club gins so far… We even started setting the scene for a gorgeous intimate winter wedding with an open fire and a couple of bottles of batch (Christmas edition) gin being served. Euan (as always) came up with creative ways to garnish the gin, such as sprigs of holly with frozen cranberries. The branding of this Christmas edition is super. I think the gold design is beautiful and instantly christmassy, plus the mention of Frankincense and Myrrh make this the most festive gin, like, ever! 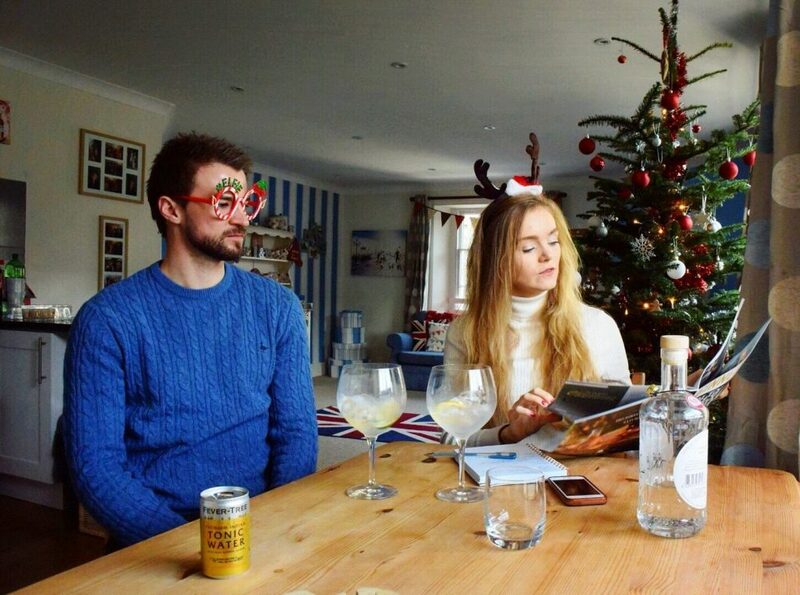 Drink a couple of bottles and pop a candle in the top and voilà, you have yourself some Christmas table centrepieces! For more ginspiration, take a look at our post about Fifty Eight gin last month. Next Posthow much space do you need for your wedding day?